This looks great! I love the colors... and the tears. 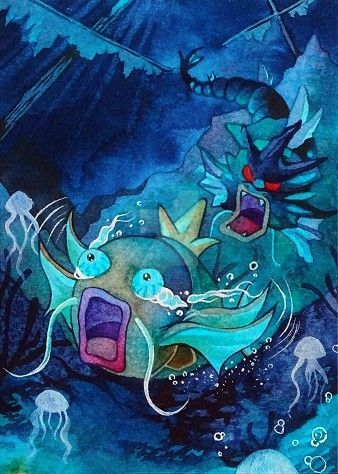 Poor 'karp though. I think that he was expecting a different reaction from his friend. this is close to cannibalism. Great art tho! haha a little bit maybe.. but the gyarados is his old friend, i think they would be good friends again.. maybe.. xD thank u!